Mopar factory Gloss Black "Jeep" tailgate badge for the 2014-2018 Grand Cherokee Altitude models. This and replacing the grill surrounds that were silver with gloss black transformed my Jeep Grand Cherokee Laredo...it no longer looks like all the others on the road. It's great there are products that help to enhance and personalize your Jeep! A little hard to remove the old badge but looks awesome and fits prefect! 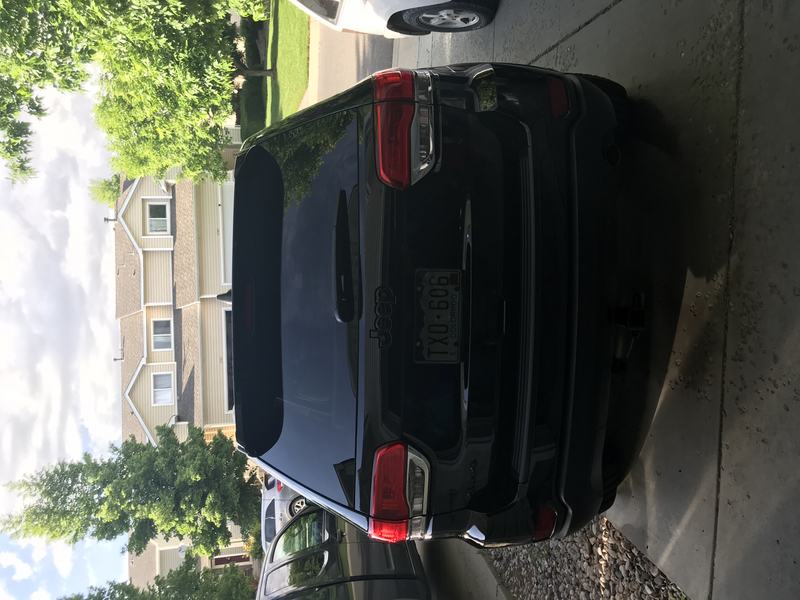 I put this on my 2016 Jeep grand cherokee, and it was a super easy install. Just had to pull the chrome one off, and push the new one in. ProsPerfect duplicate, just in black! ConsThe most difficult of the emblems to replace, as it is recessed and has the plastic posts. Use waxed dental floss, and guide it behind the emblem to get it started with a toothpick. I then tripled it up, so I could exert pressure after cutting through the adhesive up to the first post, and was able to then get my fingertips under it and pull it off the rest of the way. OEM Jeep badge for my Altitude custom led emblem I am making. At last! looks great on my white SRT JEEP!